Can we all pause for a second and appreciate the bohemian fabulousness that are Mabu by Maria BK sandals?! 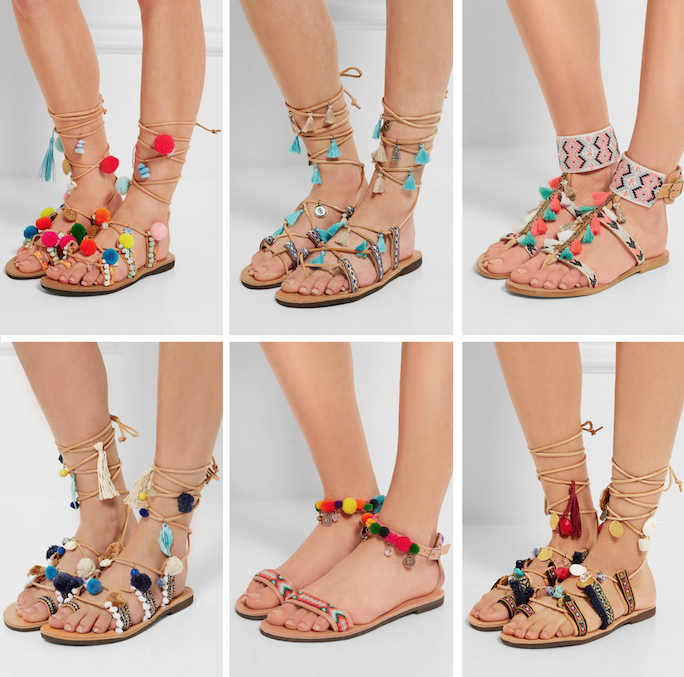 Handcrafted in Greece, Mabu by Maria BK's leather sandals are embellished with an eclectic mix of colorful pom poms, fanciful fringe, traditional coins, charms and brilliant stones. These flat lace up sandals are perfect for exploring a vacation city by day or night and the ankle strap versions offer the same whimsical feel but with a bit more support. So, if you are looking for your go-to summer statement accessory, look no further, because at under $200 these boho chic sandals are a must have!